Cricket About my hobbies, I would like to say that it is primarily playing cricket. Coding Coding is my passion. Amit is a skilled developer who learns things faster. He is an expert in SQL database and JQuery development. He is also good at optimizing an applications for better performance, be it a .Net Windows or Web application. He also learns new things quickly and efficiently faces challenges. Amit is sincere, hard-working and dedicated towards work. I wish we would work together soon! Wish him all the best. I have been knowing Amit since last four years. Amit is very passionate and enthusiastic personnel. He has great understanding for his work. His focus keeps everything moving smoothly. Amit is result oriented, responsible and technically sound and he is always ready to put all his energy and time to get the job done. He is good communicator and team member with "ready to help" approach makes him highly recommendable. I worked closely Amit Vyas over a six month. He is a solid software developer skilled and experienced in many cutting edge Microsoft technologies and is always learning something new. He is an excellent team player that will always put the success of the team ahead of personal success. If you want a very skilled .net developer that is also a great team player he is the one. Amit is an extremely capable and dedicated IT professional.He has strong analytical and communication skills which are further enhanced by his solid technical background and his enthusiasm for learning.He works extremely well with coworkers. Amit Vyas is a hardworking guy. He does have good knowledge on asp.net and asp.net MVC related technologies. Recommended him for any kind of asp.net work. Amit was a fantastic person to work with, and is not only a multi-skilled and insightful colleague, but also an inspiring strategist. Very good person. Great employee with a very strong problem solving skills. Amit is an asset to any company. I had the privilege of working with Amit Vyas . He is proactive, result oriented, responsible and technically sound employee and he is always ready to put all his energy and time to get the job done. He has an exceptional troubleshooting and analytical skills. He is a great asset to any of the company. Himanshu Kamothi Team Lead at - Analytix Business Solutions Pvt. Ltd.
AB is a well connected professional that always takes the time to support anyone is his network. He has a very impressive background and profile and I recommend AB as a Technology expert to connect with and consider for anything appropriate. AB is hard and smart working IT professional. He is committed and honest. 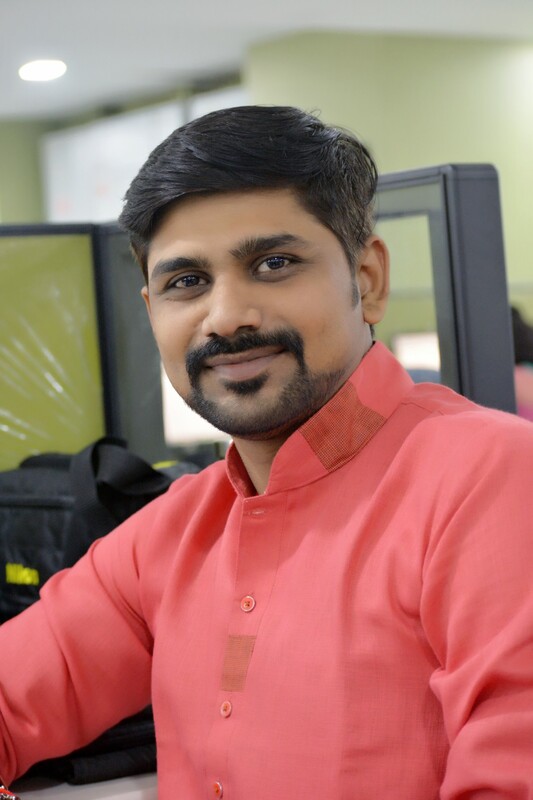 He has hands on experience in Asp.net, MVC and very good knowledge in JQuery. Amit is very passionate and has great vision for his work. His focus keeps everything moving smoothly, he makes sure all the deadlines are met, and makes sure that whatever project he is working on meets the highest standards. I had the privilege of working with Amit Vyas on a couple IT positions at the same company. He didn't fail me a single time. Amit is a highly organized, goal oriented, independent and hard working perfectionist always ready to put all his energy and stamina to get the job done. Well educated and energetic. He is able to work in a fast-paced environment. Amit is probably one of the best strategists I have ever met in my life and one of the smartest professionals I have ever worked with. I am responsible for both server-side logic and front-end logic. Usually tasked with the implementation of the visual elements that the users see and interact with in a web application, as well as the web services and APIs powering the front-end. I am also involved for Client communication, Stage upload and team management. I am responsible for both server-side logic and front-end logic. Usually tasked with the implementation of the visual elements that the users see and interact with in a web application, as well as the web services and APIs powering the front-end.